Google Maps is getting a major redesign with a focus on points of interest across. The update will be rolled out to Google Maps and Google Maps connected services in the next few weeks. Google Maps is getting a major redesign with a focus on points of interest. The redesign brings an interface refresh that updates the Driving, Navigation, Transit and Explores sections to better highlight information available on Maps. Google says the focus is to better highlight the information relevant to user experience. The update also brings new colour scheme and the company has also added new icons to quickly identify points of interest. The points of interest will also vary depending upon the map view that the user is looking at. With the new update Google Maps, places like a cafe, church, museum or hospital will have a designated colour to clearly differentiate these destinations on the map. "For example, if you’re in a new neighbourhood and searching for a coffee shop, you could open the map to find the nearest orange icon (which is the colour for Food & Drink spots)," wrote Liz Hunt, Product Manager, Google in a blog post. The new colour scheme is classified into eight categories with their own unique colour: Food & Drink, Shopping, Health, Entertainment/Leisure, Services, Civil Services/Worship, Outdoor and Transport. The icons corresponding to these categories will automatically change to reflect an accurate point of interest to Google Maps users. 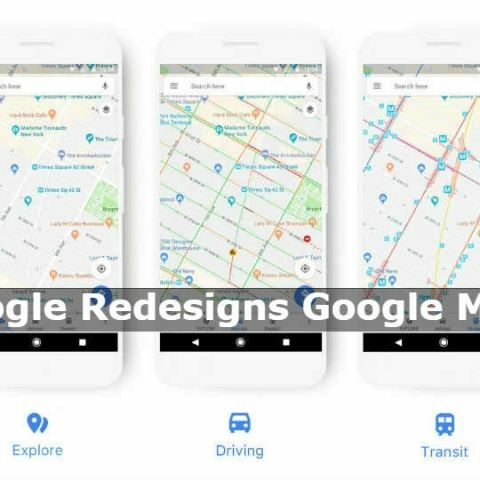 All Google products incorporating Google Maps will get the redesign over the next few weeks. The redesign will eventually make its way to Assistant, Search, Earth and Android Auto. It will also arrive on apps, websites and experiences offered by companies that incorporate Google Maps APIs as well.